Summer is at the doors and last week we had a little taste of the warm temperatures to come. 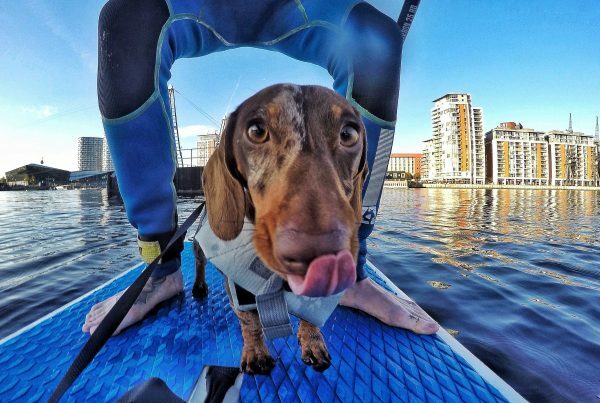 London may not have a seafront, but there are some hot spots where you can take your dog swimming and cooling off in town! 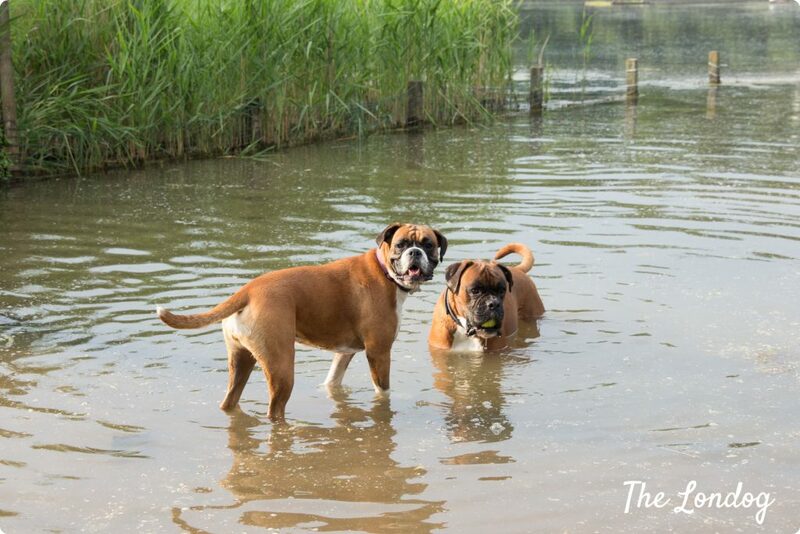 In this post we tell you all about some lovely dog ponds in London for your Summer weekends. 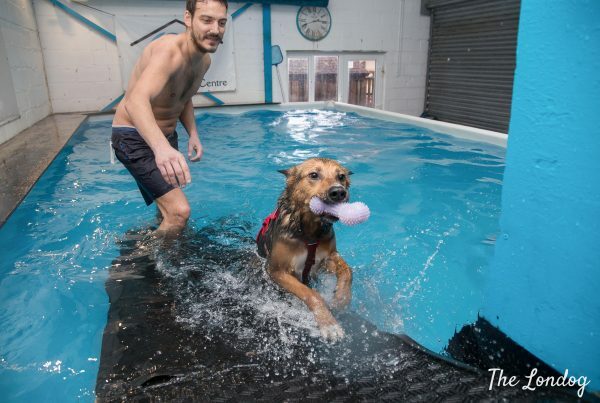 If your dog loves water, ponds are the perfect place to give them some fun exercise, swimming or fetching, while also helping them to cool down in hot temperatures. 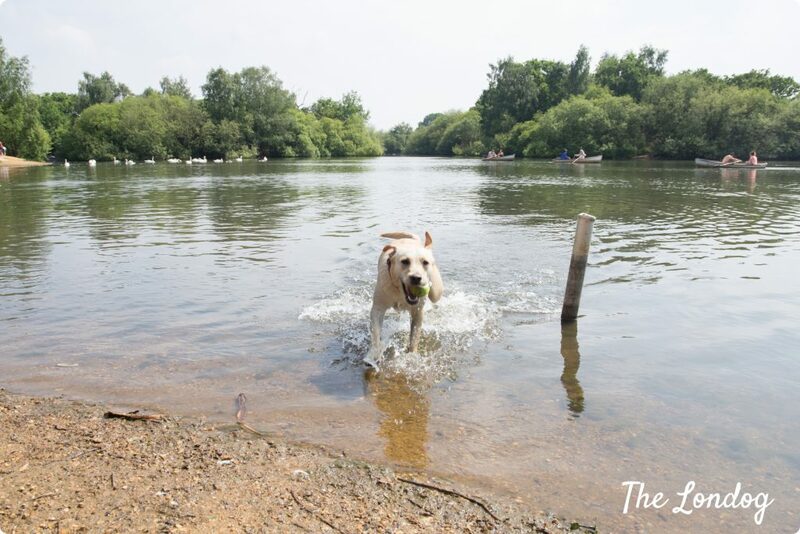 We have picked five dog ponds in some lovely spots all around London to enjoy with your dog (North, South, East, North-West and South-West London included) and hopefully give you an easy choice for the closest to reach. We have visited and photographed four of them, while you’ll find about the fifth reading the post. 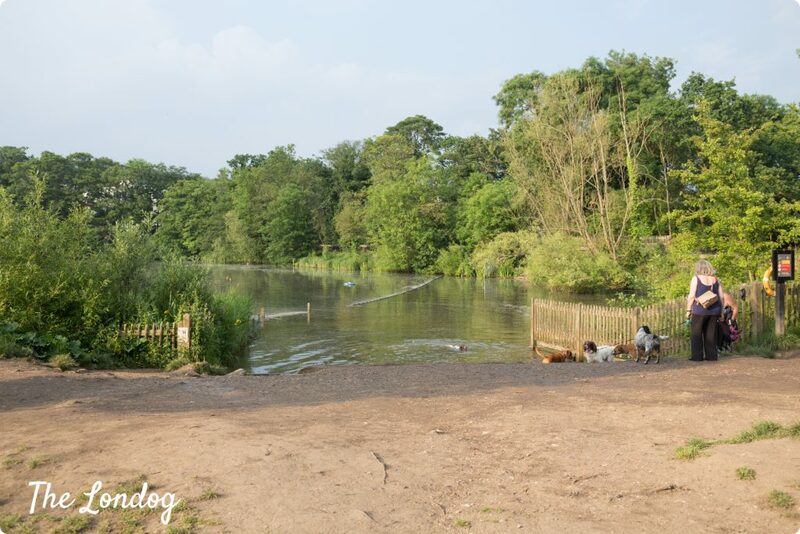 In North London, Hampstead Heath has many ponds, but there is one that is commonly known as “the dog pond” among locals. In fact, even just passing by you can get a flavour of how extremely popular among dog owners it is. We went over on a Sunday afternoon (without Argo) and, in the space of half an hour, some 10 dogs ran in and out, playing fetch in the water and having a swim. Some highlights? We encountered two Boxers who lost their ball over the wooden fence in the pond and were trying to work out how to get it back, a Border Collie puppy at his first water experience doing zoomies on the bank, a little Dachshund cross swimming like a fish to get a stick, a Saluki barking to call the dogs swimming. In sum a little doggie playground heaven! Wisely, some of the dog owners wore wellies, while others flip-flops, and one brought a water bottle to wash away mud from the dog after the last dive. Where & how to get there: Hampstead Heath (NW). The closest public transport stop is Gospel Oak (Overground): from there you need to reach the Bandstand, turn left right after and then go straight until the first pond: you have reached the dog pond. If you are based in South London, you can head to Clapham Common’s pond. You will often find miniature remote controlled boats sailing in the pond (you can see one in the photo above), some ducks and many dog friends having a swim or dive. When I visited the pond, I found a little mongrel doing taking a run-up and exhibiting a jolly free-style dive, a few Labradors (one of whom was putting his head under water as looking for something) swimming and walking in the water with ease, a Spaniel who after fetching the ball waited patiently for his owner to help him out of the water (in the pic above), and a lovely small doggie with very short legs being held by his owner above water while paddling. Where & how to get there: Clapham Common (SW4). Coming from Clapham Common tube station and keeping left, it is the first one you encounter. 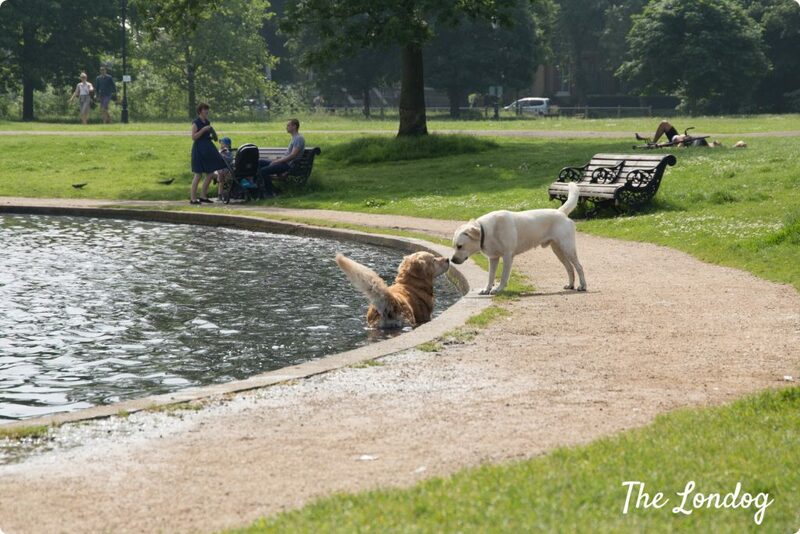 Pros and cons: Clapham Common pond is less muddy than the others we visited; however, keep in mind that there are busy roads nearby, so if your dog does not have a good recall it may not be the best choice. 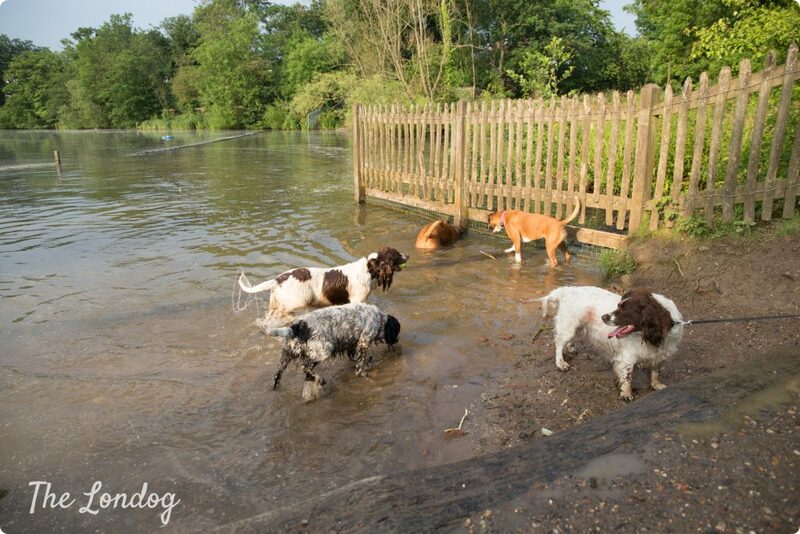 The to-go destination for East London dogs is Hollow Pond in Epping Forest. The main pond is huge and has many coves, some of which with some small beaches. We chose a quiet one to play fetch with Argo; the best ones for dogs seem to be the ones on the farest side of the pond from the car park. Just watch for swans and rowing boats if you play fetch. At Hollow Pond you can also enjoy another awesome dog-friendly activity: hiring a rowing boat and sail in the pond! We will tell you all about this doggie experience in a separate blog post soon, so stay tuned! Where & how to get there: Hollow Pond is on the border of the very enjoyeable Epping Forest. You can get off at Snaresbrook tube station (Central line) and walk through the forest (there is an access right after Eagle Pond on Snaresbrook Road) or come from Wood Street station (Overground). 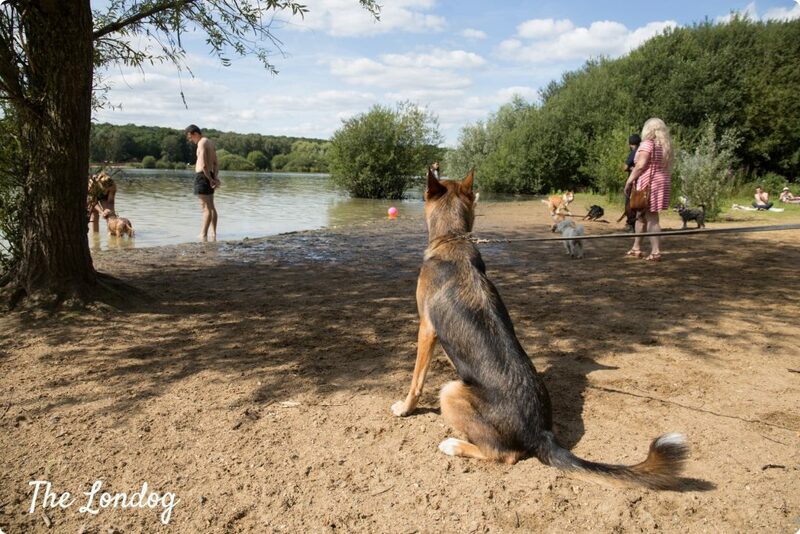 In North West London, Ruislip Lido – technically not a pond but a lake – has a dedicated dog beach (you can read all about it here). 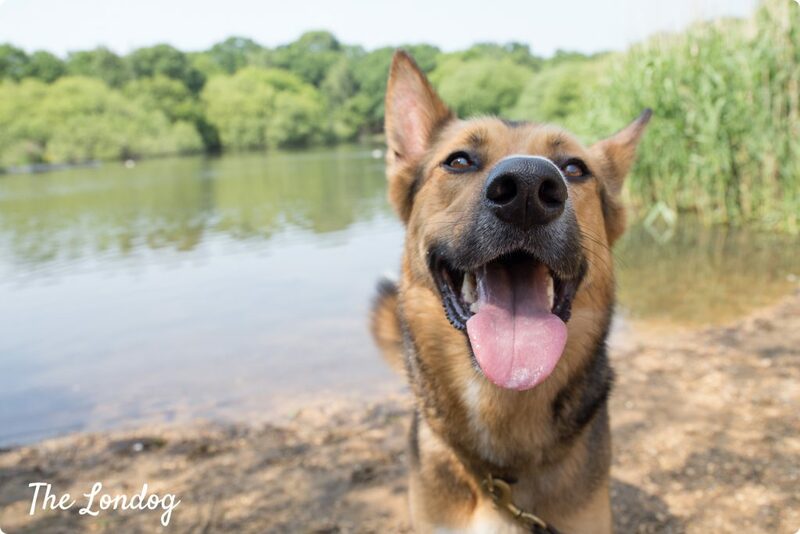 Since you are there, if it is not a busy day, you can try and go for a dog-friendly ride on Ruislip Lido Railway, a miniature railway which runs around the lake. there are some dog restrictions during wildfowl breeding season: from 1st March to 31st July some areas become dogs on lead zones and from 1st April to 31st August dog restrictions to the access to the ponds apply. According to Wimbledon and Putney Commons’ website, clear signs are placed to mark the areas affected by such restrictions. we were told that in the past there have been some cases of Alabama Rot in the area, so we are unsure whether it is safe to lett dogs bathing in the ponds and getting dirty in the mud. 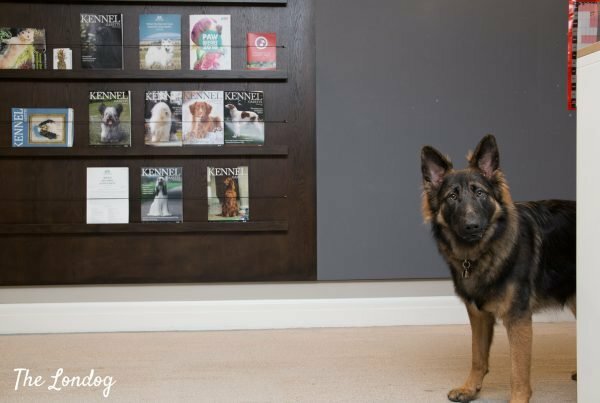 From an online search we stumbled upon Vet4Pets Alabama Rot map, reporting that a case was recorded in February this year (areas walked by the dog were Wimbledon Common, Tooting Common and Beddington Park). 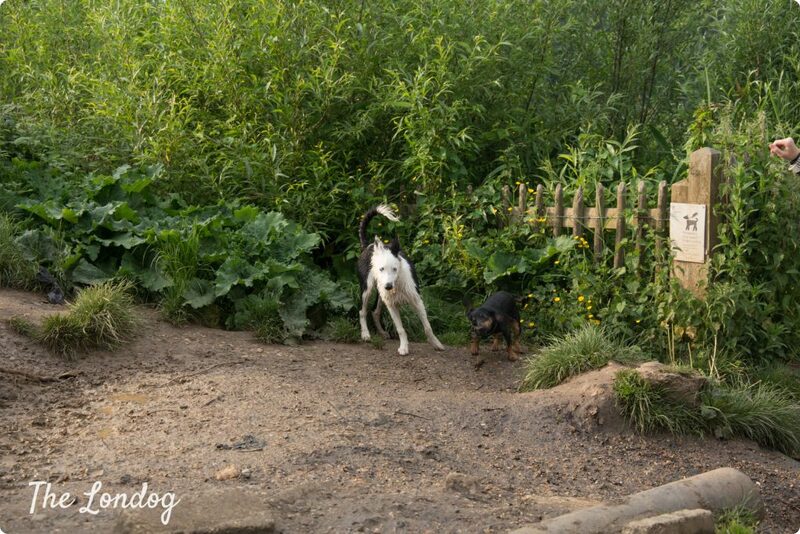 Other dog owners advised against taking dogs there, so we haven’t visited the ponds yet (hence no pictures, sorry). We are currently speaking with some locals and will let you know more soon about the ponds. We’d love to receive further advice on this from local dog owners. Final Tips. Just for the sake of safety, if you visit a pond with your dog, always check reports about blue-green algae, which can be very dangerous to dogs. Appropriate shoes, a bottle of water to wash mud away and a towel could be good tricks too. Do you have a favourite dog pond/beach? Tell us about it! 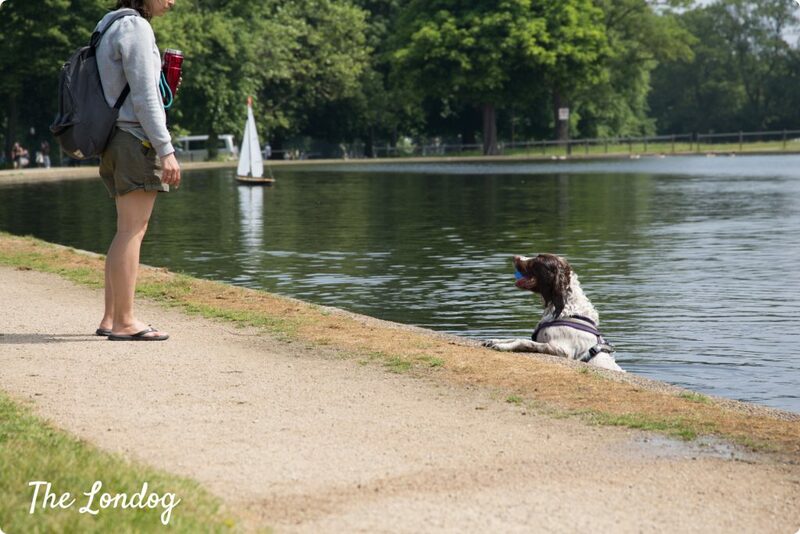 My spaniel got into the pond on Wimbledon common twice and ended up with conjunctivitis and severe diarrhoea….